This was written by admin. Posted on Saturday, October 20, 2018, at 8:30 am. Filed under Uncategorized. Bookmark the permalink. Follow comments here with the RSS feed. Post a comment or leave a trackback. Cede, seed or feeding discontent in the election system is exactly what Saul preached. Sooo…if I circle my choices on a mail-in ballot instead of filling in the spaces with ink, will those votes count or be rejected? A Belmar candidate somehow knew that three paper ballot votes were not counted, requested a recount, and it was determined that those circled choices were legitimate and caused said candidate to win that election. No one seems to have looked into that matter. Appears fishy to me. Depends upon the name of the candidate circled. 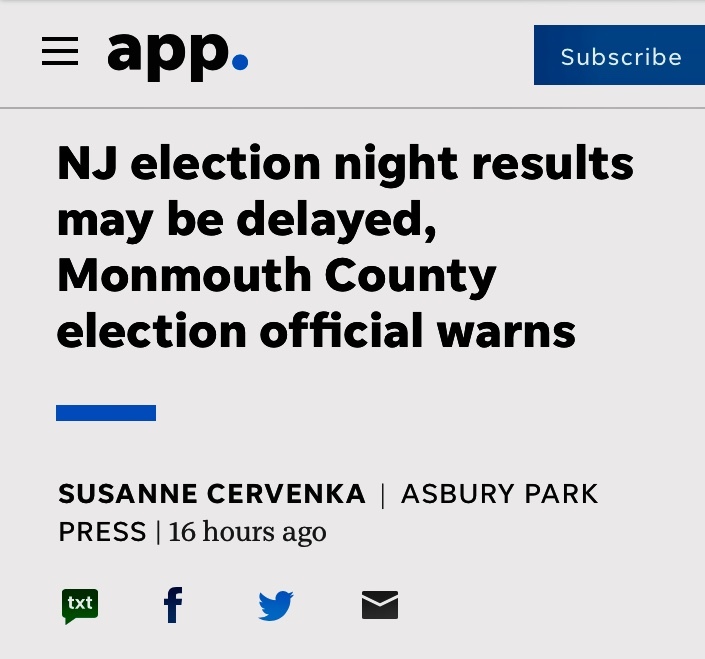 The results will be delayed until the correct results are found. So, anyone who chooses to, may circle their choices instead of following the directions about filling in specified spaces, will have their votes counted. That method seems to have been deemed to be correct/acceptable. Rewrite the rules about absentee ballots and eliminate any grey areas. Wait, use black or blue ink…how about circling with red pen? That will also count, maybe? C’mon, right is right, wrong is wrong. #6, now your not being fair. Selective rule-changing is not fair. ‹ Raj: Liquor Licenses For Everybody!